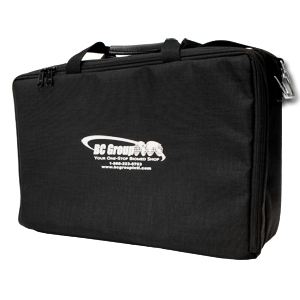 This large, black cordura, padded carrying case is specifically for the AA-8000 Anesthetic Agent Analyzer. The dual zippered compartments give you enough room for the testing equipment in the large compartment plus the manuals and cables in the second. Comes with inserts for top and bottom compartments and a detachable shoulder strap. This includes the BC20-30109 and BC20-30122 insert set for the carrying case.